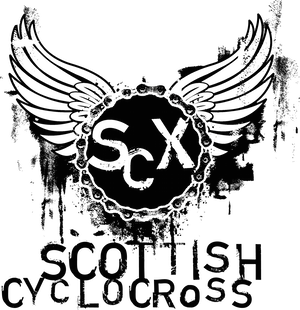 A short update to advise that everything is on course for the Knockburn cyclocross this Saturday. The course is more fun & cyclocross specific than 2 years ago, and the recent conditions will ensure a good mix of slippery surfaces & mud, in addition to several sandy sections, hurdles and short climbs & descents. We also have hot food catering on-site to ensure you keep warm, regardless of what the weather decides to do. If you are travelling up with kids & staying over for the Ballater event the next day, then you should know that Banchory has an excellent bonfire night & fireworks display. That was an excellent event held by Deeside Thistle. Everyone who rode it agreed it was a great course, hopefully it makes it onto the rota for next years SCX! Totally awesome event promotion by Deeside Thistle, best event I have ever rode in, wish you guys all the very best for more cross events...thank you to the marshals and the facility owner...cross is rocking in 2011 yay. I have to agree, this was the best run event of the season so far. The course was great, facilities were top-notch and the race was brutal. Just what CX should be.